An introduction to, and detailed analysis of, social policy provision in Germany. 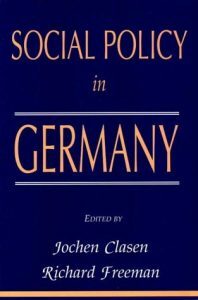 A specially selected team of authors look at the historical development of social policy in Germany; the framework for policy making today; the main areas of social policy (social security, healthcare, social services, education and housing), and perspectives on gender and race. Combines social, economic, political and historical contexts with details of the main service areas.